These exclusive delicacies are hard to find in local stores and must often be imported from other countries usually France. Given Ireland’s greatest reputation and time honored tradition in farming - Locally grown Quail Eggs here in Country Cork. We began our business in Country Cork after seeing the demand in stores across the country for Quail Eggs. These exclusive delicacies are hard to find in local stores and must often be imported from other countries, usually France. Given Ireland’s great reputation and time-honoured tradition in farming, it seemed to make sense that we should produce Quail Eggs right here – after all, Irish people love buying Irish produce. And so far we’ve been supplying shops and butchers in Dublin, Cork, Limerick, Galway, and beyond. But we’re not stopping there: our research indicates that consumers would like to see this product available right in their local supermarkets. Quail eggs are small speckled pearls that nature gives us. Since ancient times, this delicacy has been prized as a dietary and healing food. 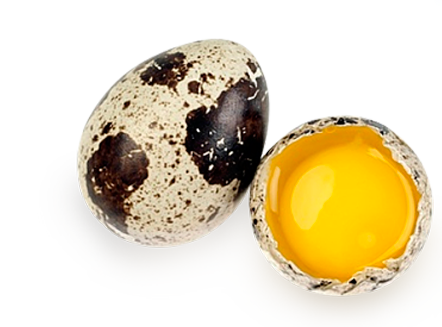 While quail eggs are so small (10-12 g), they are packed with many biologically active substances we need to be healthy. They are an abundant source of useful trace elements and vitamins. Their nutritional value is 3-4 times higher than that of chicken eggs and richer in phosphorus and calcium. They provide five times as much iron and potassium as chicken eggs. British researchers say that eggs should be pronounced a super-food, as it has a very good impact on our health and even helps to fight obesity. 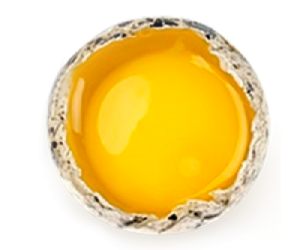 According to nutritionists the egg as food is one of the richest in good in essential ingredients and we all should consume at least one a day. The Common Quail, Coturnix, is a small (17 cm) rotund bird in the pheasant family Phasianidae. It is widespread and is found in parts of Europe, Asia and Africa with several subspecies recognized. It is bred and kept as poultry in some parts of the world both for eggs and meat. 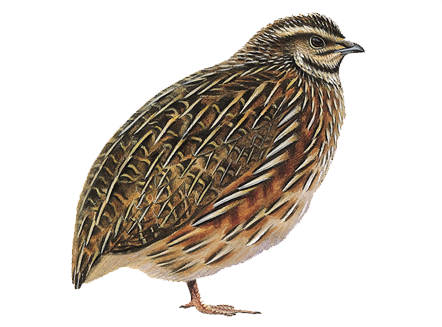 Quail is a terrestrial species, feeding on seeds and insects on the ground. It is notoriously difficult to see, keeping hidden in crops, and reluctant to fly, preferring to creep away instead. Even when flushed, it keeps low and soon drops back into cover. Often the only indication of its presence is the distinctive “wet-my-lips” repetitive song of the male. The call is uttered mostly in the mornings, evenings and sometimes at night. It is a strongly migratory bird, unlike most game birds. 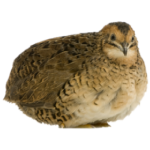 Upon attaining an age of 6-8 weeks, this quail breeds on open arable farmland and grassland across most of Europe and Asia, laying 6-18 eggs in a ground nest. The eggs take from 16-18 days to hatch. Quailie are a registred trademark in Ireland.